Does Your Child Keep Scratching his Eyes? Posted byMei 7 December, 2011 21 May, 2018 2 Comments on Does Your Child Keep Scratching his Eyes? Frequent scratching or rubbing of eyes can be due to itchiness caused by eye allergy or infection; but for a child with eczema, it is possible that he or she has eczema on the eyelid. Though eyelid eczema is more common in adults wearing cosmetics, children can also suffer from dry, sensitive and itchy eyelid. The skin around the eye is thin and sensitive, and also vulnerable to irritants and allergens just as other parts of the body of an eczema child. My baby Marcie sometimes scratches her eyes, and the eyelids look red, dry and sometimes a little swollen. – Eyelid is itchy, looks inflamed or scaly. – Eyelid is red or swollen. – If scratching is vigorous and prolonged, it may cause a change in the appearance of the eyelid, e.g. extra fold of skin under the eye or darker eyelid. I haven’t asked for any medical advice regarding eyelid eczema, but I usually wipe Marcie’s eyelid with cooled boiled water on cotton pad. If her eyelid looks oily (at the place where mascara is applied, not that I apply eye makeup on her), I will use slightly warm cooled boiled water that can remove the oil better. I will then sparingly apply Physiogel AI cream on her eyelids, and usually, she stopped scratching after a few days since her eyelid eczema is not severe. Do do see a specialist and seek appropriate treatment as you can read below, it’s a little trickier to treat the eyelid eczema. – Certain irritant/allergen in moisturizers may worsen the eyelid eczema, see this post and the comment section for some of these irritants. – Eyelid can be moisturized, but avoid doing it too generously that it flows into the eye and irritate the eye. – For cleaning the eyelid (if need to), ask your baby’s doctor first if you want to use eye lid cleanser as most of these are for adults only. I love this post. Thank you for the info. 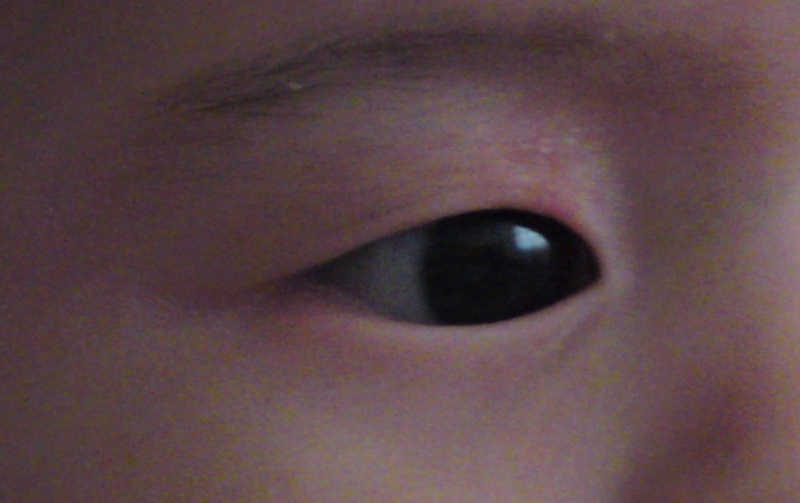 My son suffers terribly with eyelid eczema. It is our main problem area now that treatment is working on the rest of his body using Elacon and Protopic. What do you think about the latter and other immuno suppressants. The hardest thing I find is lack of support from friends who think I am exaggerating or who don’t understand why I can’t go out much in the evenings. Thank you once again for an amazing blog and website.